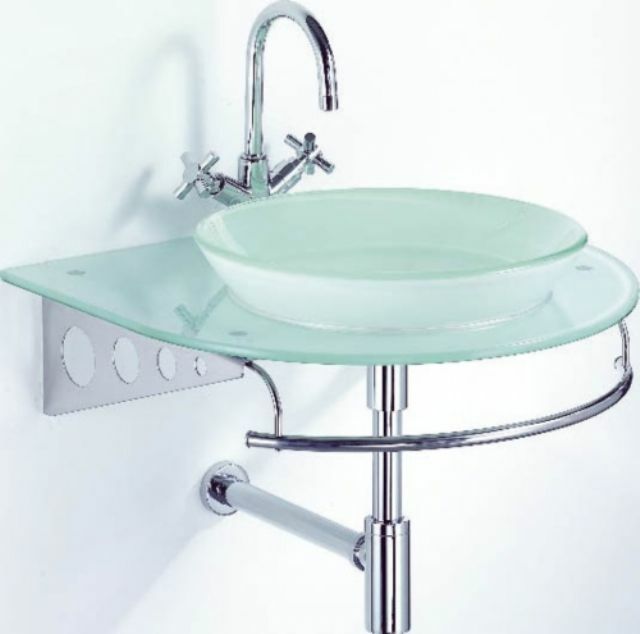 The glass washbasin developed by Hoi Mirror. Founded in 1947, Hoi Mirror Co., Ltd. is one of Taiwan's foremost makers of mirrors and glassware with seasoned know-how and consummate production capability. The company turns out a broad array of mirrors for residential and commercial use, as well as glass building materials, glass washbasins, glass giftware, glass shelves and related accessories. The company's products bearing its own brand HOI are also popular with overseas buyers for featuring unbeatable quality and friendly prices. It also handles contract orders on the OEM basis. Over the past six decades, the company has consistently honed its competitive edges by absorbing the newest design concepts and advanced production equipment from abroad. It also adopts out e-management and TQM to optimize its management, in a bid to provide truly customer-driven manufacturing services.